Giovanni Troilo, 37, was born in Putignano. He graduated in Economics with a degree in Geography of Development. As director and photographer, Troilo moves between the worlds of cinema, television, publishing, and advertising. He began lming and taking photographs at a young age. According to strike reports compiled by investigative journalists, Zubair Rehman’s grandmother is one of several thousand people killed by covert U.S. drone strikes since 2004. Although we live in the most media-connected age in history, the public has scant visual record of the drone war and its casualties. In 2011 he directed Fan Pio, his rst feature length lm, and published his rst book Apulien, in Germany, which then won the Best Photographic Book Award at the International Photography Awards of 2012. Troilo has also directed a number of commercials, videos, and a series of short lms. Between 2012 and 2014 Troilo directed three series of documentaries on famous Italian photographers for Sky Arte HD, Fotogra . 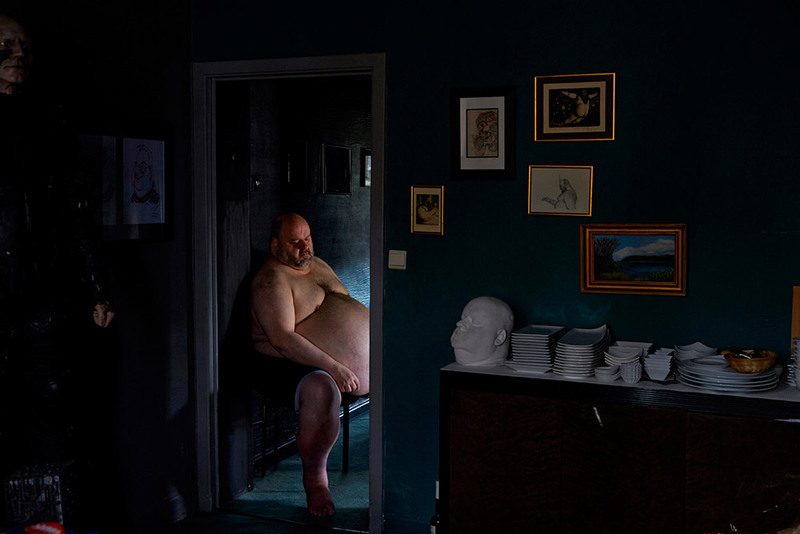 In 2015 his project La Ville Noire, the Dark Heart of Europe received the People Photographer of the Year prize at the Sony World Photography Awards. Director of photography on Il Primo Incarico for RAI Cinema, in competition at the 67th Venice Film Festival, more recently Troilo was director of photography for Montedoro, Antonello Faretta’s directorial debut, and various documentaries produced by Sky Arte, RAI, La 7, History Channel and Cult. A member of the LuzPhoto agency until 2014, Troilo is currently working on a documentary about the South African artist William Kentridge; on his second feature length lm, and on several photographic projects. Troilo’s work has been published in Newsweek Japan, Der Spiegel, D di Repubblica, GQ Italy, CNN, Wired Italy, Wired UK, Wired Germany, Ventiquattro, Wallpaper, GQ Spain, Vanity Fair, Io Donna, Flair, Urban.